Geiger, D. L. & B. Owen. 2001. The Nautilus The Nautilus 115: 77-83. 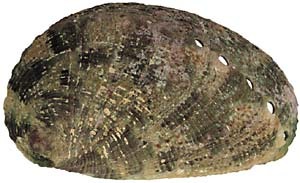 Haliotis stomatiaeformis Reeve, 1846, is shown to be a senior synonym of H. neglecta Philippi, 1848. A lectotype is here designated. Soft parts, radula, habitat, and behavior of the species are described and compared to those of other oblong species with which H. stomatiaeformis has been confused in the past. 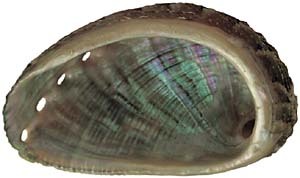 Size at maturity is estimated to be 21.95 mm using shell morphometrics. The species is confirmed as a fourth species in the Mediterranean Sea based on discrete differences in shell morphology and epipodial morphology. The species is restricted to Malta and Sicily.